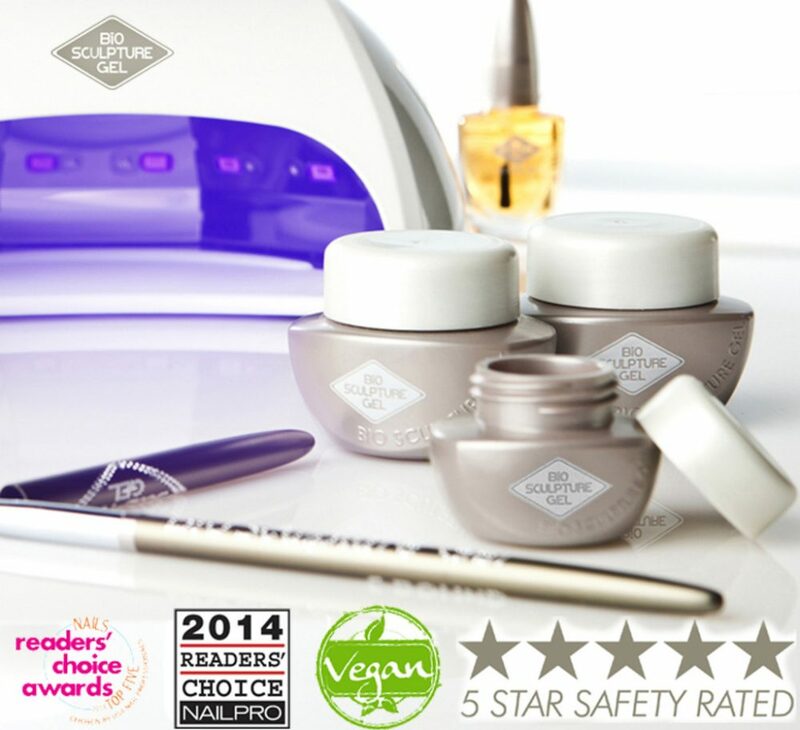 Bio Sculpture® Gel is the only nail gel system with a 5 STAR SAFETY RATING that is 100% Vegan. That means NO primers, bonders, odours or excessive buffing. With Bio Sculpture® Gel, the natural nails remain HEALTHY and UNDAMAGED, and lasts for weeks. Most importantly, you don’t need a break between manicures or pedicures, so you can look fabulous all day, every day. 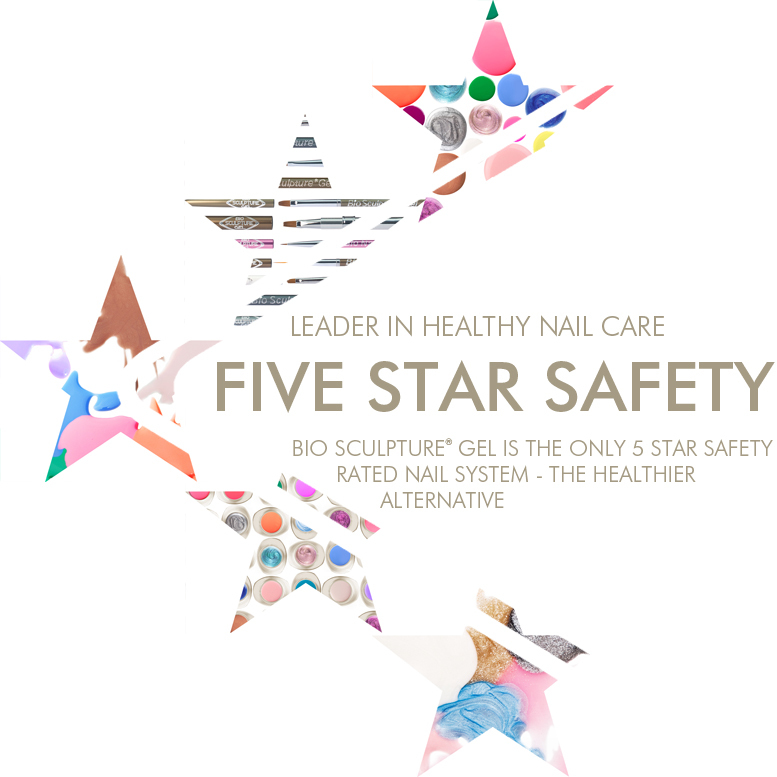 WHY is Bio Sculpture the healthiest nail care brand in the market today? Bio Sculpture® Gel produces an exclusive club of award winning nail technicians world wide. With comprehensive training globally, Bio Sculpture® Gel is suitable for both beginners and experienced nail technicians with full ongoing support. Bio Sculpture® Gel has more than 180 colours that is gently and easily removed, leaving the natural nail healthy and undamaged. Bio Sculpture® Gel is a tailored nail care solution suitable for ANY NAIL TYPE. Nails can be repaired, lengthened, corrected and shaped, LASTING UP TO 3 WEEKS. Together with a full range of polish and natural nail health enhancing pre-treatments, Bio Sculpture® Gel is strong and flexible with a non-chip finish – protecting the natural nail. Bio Sculpture® Gel is not tested on animals and free of toxic chemicals such as DBP, Toluene, Formaldehyde Resin, Formaldehyde and Camphor. Bio Sculpture® UV and LED lamps have been independently tested by an Australian Government Agency, ensuring they are completely safe to use. CHOOSE HEALTH. CHOOSE BIO SCULPTURE® GEL.